The health conscious are embracing the latest trend in pampering -- salt spas. Rather than ingesting salt, spa patrons relax in rooms made of it, breathing in misty salty vapors in hopes of clearing their lungs and purifying their skin. It's a treatment known as halotherapy after the Greek word halo, meaning salt. Besides the thousands of years of use throughout Europe and the Middle East, there's some science to back up these claims. "Breathing in salt can help cure a lot of modern ailments that come from pollution and stress," Walsh said. "It is especially good for helping chronic respiratory illnesses like asthma, allergies and bronchitis." 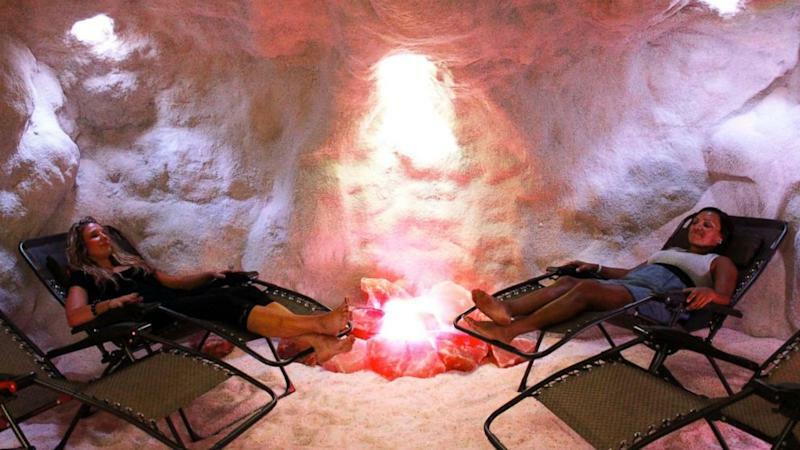 Janine Narayadu, owner of the Bethesda Salt Cave in Maryland, explained why many people believe in salt's healing properties. "If [someone] has sinus issues, sinus headaches, the best way to get the sinuses clear is to put salt in, because salt draws out water," Narayadu told ABC affiliate, WJLA-TV. "So, if there's fluid in the nose or the sinus cavity, the salt is going to draw it out, dry it up; it's going to crystallize, and you're going to be able to get rid of it. And when the fluid comes out, it reduces pressure on the sinuses." "There is no proof that salt has any benefit for someone with allergies, asthma or other breathing condition," Kao said. Kao explained that in order for sodium chloride -- the chemical name for salt -- to work, it would have to draw out toxins from the body. The toxins would then have to travel outward from the skin. "There is nothing magnetic, spiritual or magical going on here," he said. "It's relaxing and quiet. The air is clean. There's definitely something to be said for that," Kao said. Dr. Andy Nish, the president of the Allergy and Asthma Care Center in Gainesville, Georgia, said medications do a much better job treating the symptoms of allergies and asthma but he also isn't opposed to his patients trying salt therapies. "If it's cheap and easy and you think it makes you feel better, there's no harm," he said. "Even people who don't have respiratory concerns come for the sensual experience," he said. "It's a total escape."